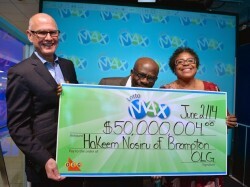 Canadian citizen Hakeem Nosiru was a proud, very proud owner of his precious Lotto Max ticket that was worth a whopping $50 million. 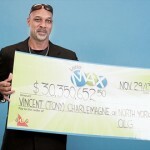 He grew $50 million richer on January 17th, 2014 and as soon as he found out the fortune he had banked, he taped the Lotto Max ticket on his stomach and then inside his wife, Abiola’s purse for safekeeping. They both had one hell of an emotional roller coaster ride when the $50 million Lotto Max ticket went missing a day after they attended church! It was gone. Hakeem, who was seen running about in town and inside convenience stores shouting for joy and telling people he had won the Lotto Max jackpot, was now as pale as a ghost. He couldn’t sleep, or eat… and we don’t blame him. Abiola couldn’t believe how the ticket disappeared from her purse. 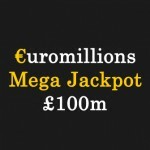 For many it’s nearly the end of the world to have to lose a fortune as big as $50 million. Hakeem and his wife of 29 years were utterly devastated. When Hakeem found out about the jackpot, yes, he screamed with joy, but then he instantly knew that it wasn’t just another piece of paper. 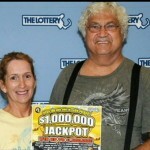 This Lotto Max ticket was the answer to all their dreams and he knew he had to keep it safe. To keep the Lotto Max ticket safe he duct-taped it to his stomach! Still not satisfied because he feared he might still lose it, he asked his wife Abiola to keep it safe. They went to church to thank God for his mercy and for shining a tiny spark on their luck, but when they returned home, the ticket was gone. Hakeem wasn’t mad at his wife, in fact; he was quoted saying that it was all in God’s hand. Nevertheless, the frantic search began; the devastated couple searched everywhere for months, even in the garbage bins. They picked everything but to no avail. The ticket was nowhere to be found. The miserable couple went ahead and filled out all the required paperwork with the Ontario Lottery and Gaming Corporation but without the ticket, it was useless. Months passed by but there was no sign of the Lotto Max ticket and then one fine day someone called from the church. It was not until the 1st of April 2014, on April Fool’s Day when their prayers were finally answered. A member of their church parish called, Abiola answered and suddenly there was a smile on her face. The ticket was found and she was requested to pick it up. But how did that person know who the ticket belonged to? Simple, Hakeem had signed the ticket and even wrote his address just in case. Without wasting another second, they rushed for their fortune and quickly submitted the Lotto Max ticket to the Ontario Lottery and Gaming Corporation. The Lotto Max ticket, according to the police, was Hakeem’s property and there was no criminality involved. According to the Ontario Lottery and Gaming Corporation, lottery winners must sign their ticket, keep it in a safe place and check often. Originally from Nigeria, Hakeem and his wife have lived in Brampton for almost 17 years. Although they didn’t mention anything about how they would spend their fortune, they were, however, relieved that the missing lotto max ticket was found… even if it cost them sleep and appetite! Abiola, the happy wife of a new millionaire mentioned that losing the cash would have been terrible, but to her, it’s not the end of the world. Now I’m not sure how much she meant that! What they plan to do with the money, we don’t know, what we do know that Hakeem is a proud father of four children and a happy grandfather to five grandchildren!